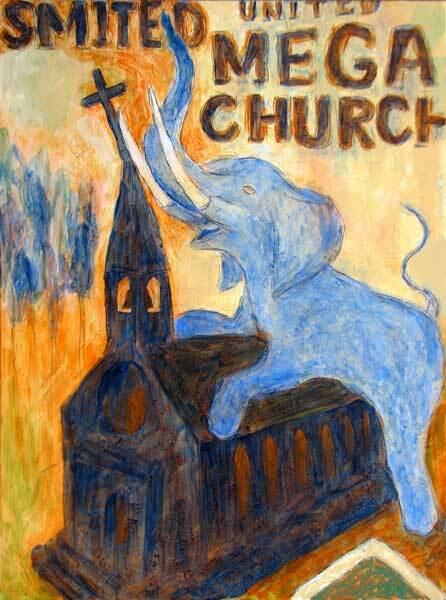 “Smited United Mega Church” political art. acrylic media, archival pigments, gesso on canvas. 30 in x 40 in.